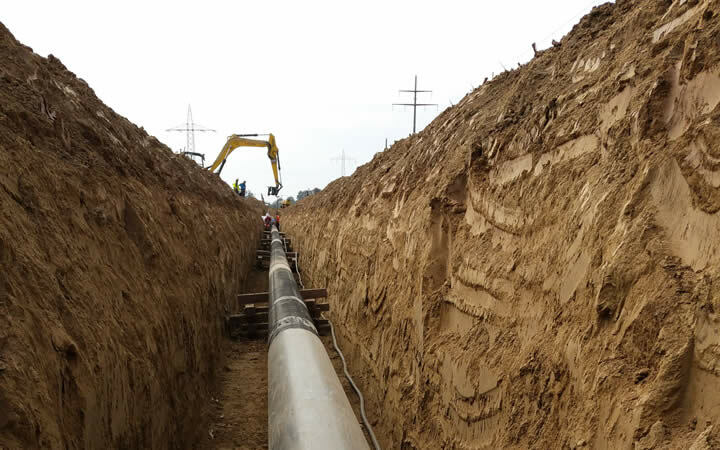 In the Wallersdorf area of Lower Bavaria in Germany, an automotive manufacturer is currently constructing a high-tech logistics centre on the site of the 1976 "Isarschiene" natural gas pipeline, which runs between Moosburg and Straubing. The pipes were excavated as part of the work to relocate the gas lines around the new site. For DENSO, this presented a unique opportunity to test the durability and quality of the DENSOLEN® tape that was fitted to the pipes at the time. During development, all DENSO products are subjected to a range of quality tests that simulate the ageing characteristics of the materials. Analysing DENSOLEN® tape that has actually been in use for 40 years would provide a highly accurate set of results — so DENSO was looking forward to the laboratory's verdict. 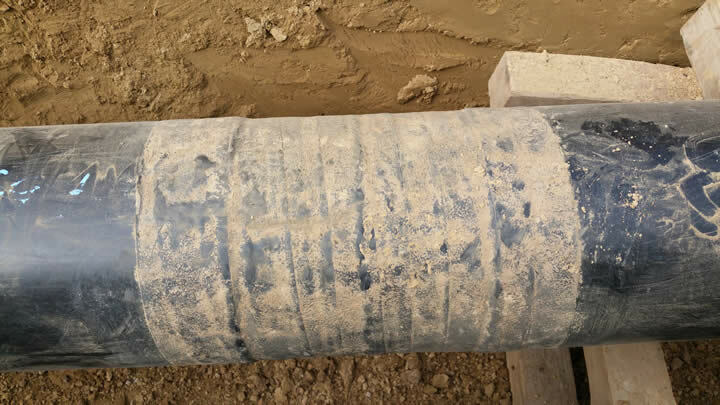 The first surprise for the expert team came during the excavation work itself: The pipe was excavated from clay-rich soil (quite unlike the sandy soil used as standard today), but showed no signs of corrosion damage in the areas protected by DENSOLEN® tape. The butyl rubber layer remained securely affixed to the steel, providing full protection for the pipe. However, the results of the extensive tests carried out to analyse the material condition and the performance of the encasement were even more crucial, surpassing all initial expectations: Although the pipeline was located in Germany's southern grain-producing region, where heavy tractors and harvesting machinery subjects the ground to excessive movement, there were no defects in the DENSOLEN® coating on the high-pressure pipeline, even after four decades of use. Needless to say, the experts were once again astounded by these findings! The DENSOLEN® tape continued to protect the smooth steel pipe, even though it was applied without the surface being roughened first as it would be today. Fitted in 1976, the DENSOLEN® tape was manufactured to quality standards that were less stringent than those that we apply now. Even compared to the strict regulations set out in the EN 12068 standard recognised worldwide today, the 40-year-old DENSOLEN® tape surpasses the current requirements by an unbelievable 25 percent. This very real proof of the durability of DENSOLEN® tapes confirms the exceptional quality standards applied in the manufacture of DENSO products. No other company in the world can draw such strong conclusions when proving the long-term quality of its corrosion prevention products for pipelines. The results of the analyses confirm: Proven quality that has stood the test of time is worth more than a guarantee that is limited by dozens of exclusions.